Don't you look at Ken Levine's American Girl Doll collection; he's been building it up for years. 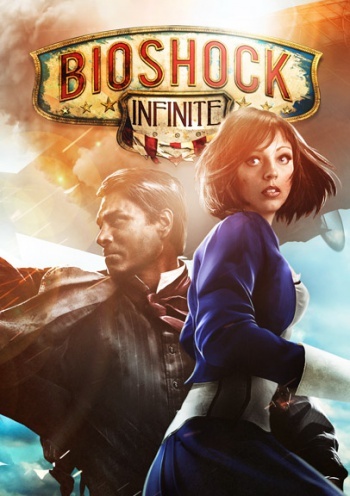 The New York Times became convinced, thanks to unnamed analysts, that Irrational Games' latest entrant to the BIoShock series probably cost something in the region of $200 million; the exact wording in its article is "the estimated cost of the project is upward of $100 million, not including marketing expenses, which could add another $100 million, analysts said." This struck a nerve with Irrational's Ken Levine, who has taken to Twitter to throw cold water on the claim. "$200 million for Infinite?" he Tweets. "Did someone send some checks to the wrong address?" What might have happened to that cash? Levine has the answers. Those golden codpieces Rod Fergusson, Irrational's executive VP, has been buying; where did the funding for that come from? Just don't go looking too hard at Levine's American Girl doll collection; that stuff's supposed to be under wraps. Besides, those are action figures. Totally different. BioShock Infinite probably cost a buck or two; you don't keep a company the size of Irrational afloat, working on a title for four years and counting, on love and pizza . The trouble is, unnamed analysts can pitch its budget pretty much however they like and not be held to account; after all, it's only an estimate. It's not as though anybody's going to take it too seriously. You haven't long to wait for BioShock Infinite, by the way. It's due March 26th, for PC, PS3 and Xbox 360.